The Trinity Mission is to provide programs in a safe, fun, Christian family environment that identifies each participant as special. To nurture positive values, self esteem and build self confidence; To develop healthy minds, bodies and souls that will last a lifetime. 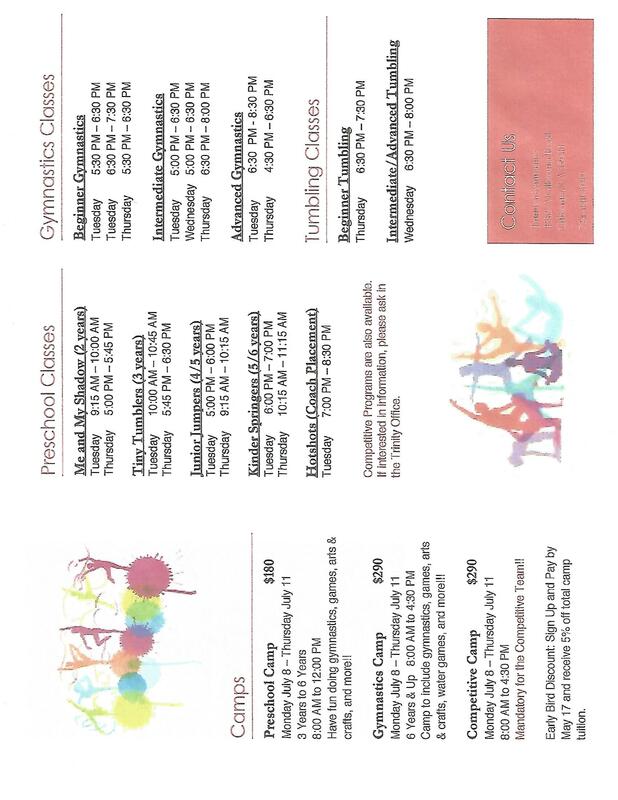 Welcome to Trinity Gymnastics -- Registration now being accepted for Fall Classes. Please call (724) 444-3010. 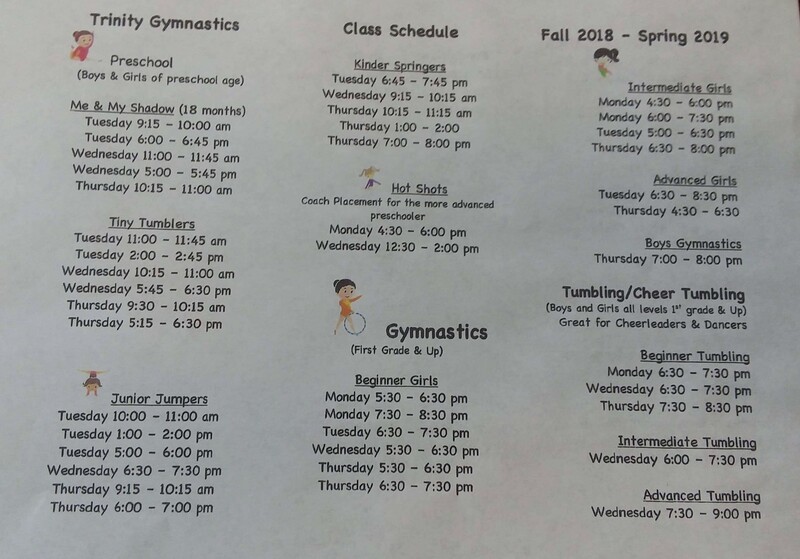 Welcome and thank you for your inquiry into Trinity Gymnastics. Our goal is to provide an outstanding communications tool for parents, and athletes. You will find useful information available through this website, including our address and phone number, activities planned, sports information, and many other things. Our mission is to provide programs in a safe, fun, Christian family environment that identifies each participant as special. To nurture positive values, self esteem and build self confidence; To develop healthy minds, bodies and souls that will last a lifetime. Trinity offers online scheduling and registration. You can click on the menu on the top of any page to get to the Registration page. Check out the upcoming Summer schedule!